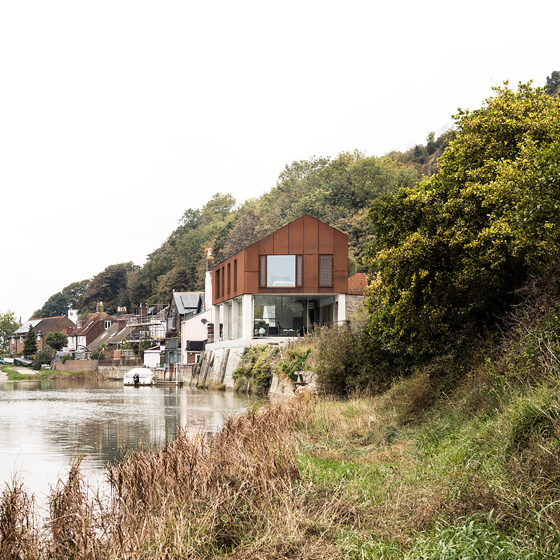 This four bedroom house sits on a prominent brownfield site in the South Downs National Park on the banks of the River Ouse. 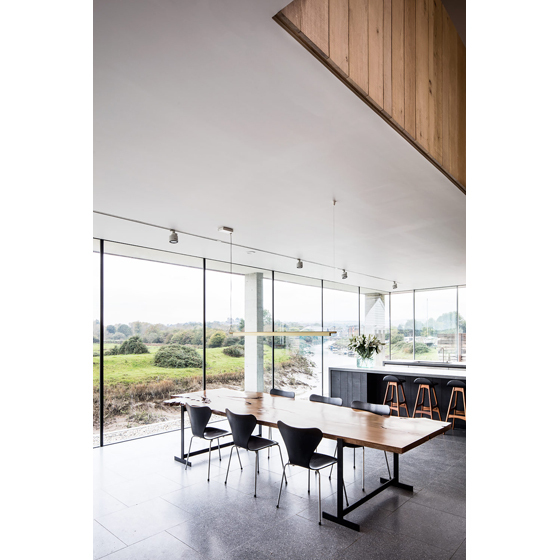 Built off the roughcast concrete river wall, it enjoys expansive views to the south and west over the river and its low-lying flood plain. Behind the chalk face of Cliffe Hill rises steeply to provide an imposing backdrop. 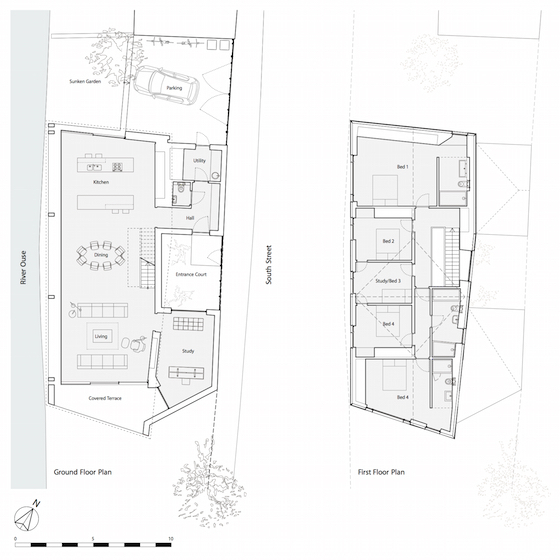 The distorted vernacular form orientates the interior towards the key views and provides sheltered external pockets around the building to buffer the sound of the adjacent road. Its scale is broken down by carving away the ridge and by adding two single storey elements on the roadside. These frame a new entrance courtyard and reflect the grain of adjoining building fabric that abuts the pavement line. 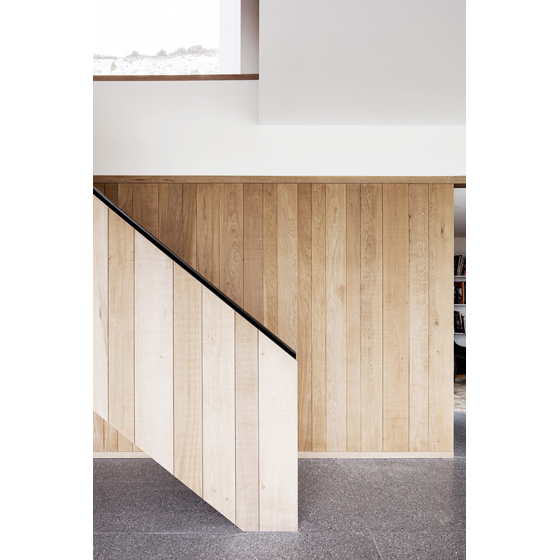 A simple palette of materials emphasises the building's form and reflects the qualities of the site and its surrounds. An in-situ concrete frame at ground level is in-filled with glass and local ash-glazed brickwork. 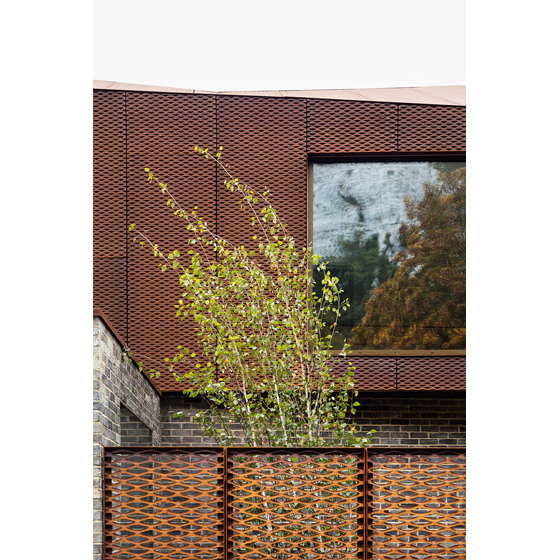 Above, walls and roof are clad in a continuous skin of Cor Ten steel, which will self-weather to a striking ochre colour, echoing the local soft red clay brickwork and tiles and alluding to the past industrial heritage of the site. 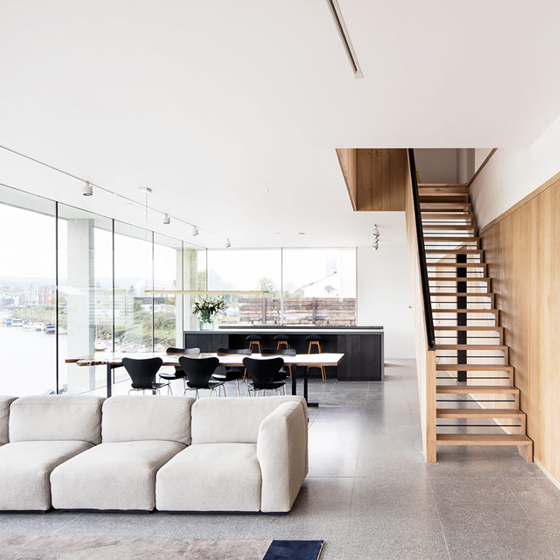 The project was completed in the autumn of 2015 and featured on Series 16 of Channel 4's Grand Designs. 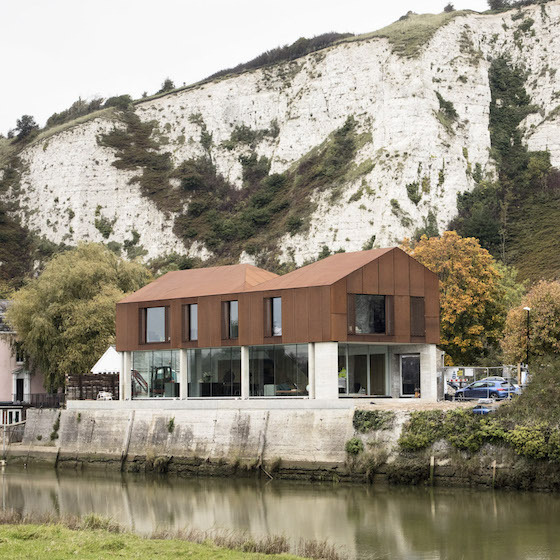 South Street won a Sunday Times British Home Award 2016 for the best one-off home in the UK, was shortlisted for the Manser Medal 2016, and has won numerous other awards including a Sussex Heritage Award and a RIBA South East Award.